In "Meine Kochschule" he gives an introduction to cooking in general, writes about valueable ingredients and offers a complete course on cooking. Next to a lot of recipes you can find interesting and convenient hints, which will make your career as a hobby cook much easier. 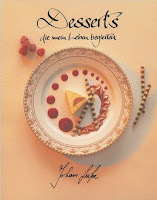 Focusing exclusively on "Desserts", in the second book he recommends recipes which have accompanied him through his life. From simple desserts he got to know when he still was a child, to his award-winning and extraordinary creations from the later periods. Not only delicious, but also very likeable. 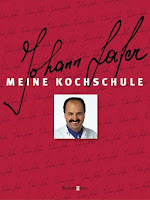 Celebrity chef Johann Lafer was born in Styria, Austria in 1957. He's the author of numerous books on cooking and the pleasures of good food. Johann Lafer now lives in Germany, at Stromburg castle in Rheinland-Pfalz, with his wife and two children. In 1980 he was named Germany's best pastry chef and a year later he was awarded his first Michelin star. A passionate helicopter pilot, Lafer also operates a gourmet cooking school near his home. But Germans only need to turn on the television if they want to get some tips from the master chef. Lafer is on air in his own cooking show around 180 hours per year.